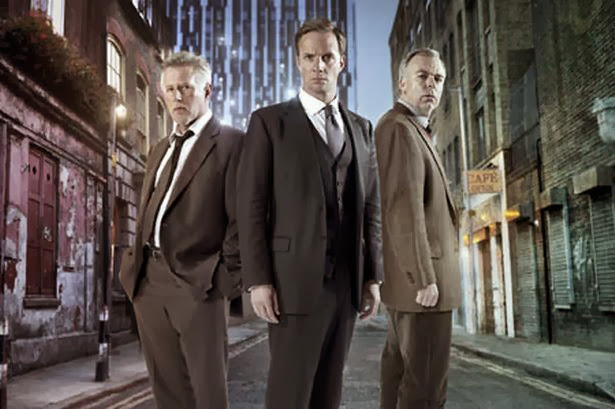 The news was first broken by the programme's star Rupert Penry-Jones who wrote on Twitter, "Sorry to be the bearer of bad news everyone, but ITV don't want any more Whitechapel. That's all folks." Penry-Jones' tweet was later followed by one from series director Jon East who said, "We went out on a bang! Shame nevertheless. It was a great roll, a terrific cast and crew firing on all cylinders. So, onwards!" ITV later released a statement claiming that the axing of the show was down to a rebrand of the channel's drama output. The statement read, "Whitechapel has been a successful drama commission since first broadcasting in 2009. The commissioning team continue to refresh the channel's drama portfolio, hence the decision not to commission beyond the fourth series." During its time on screen Whitechapel has focused on a number of macabre stories involving legendary figures such as Jack the Ripper and the Kray Brothers. The final series struggled in the ratings with the last ever episode playing to just under four million viewers.